Previous story BRANCH IS OUT! Next story MEET THE WINNERS OF MONTH THREE! 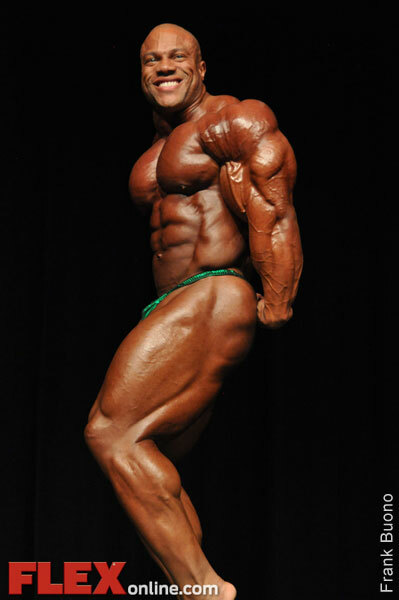 It isn’t every day you get to see a bona fide Mr. Olympia contender guest posing four weeks out from the biggest competition of his life. 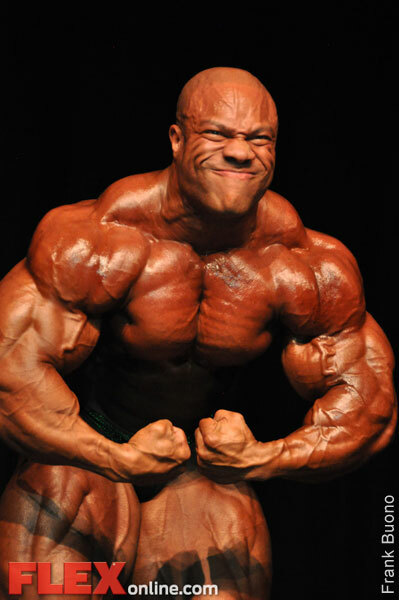 But that’s exactly what Phil Heath did last Saturday at the NPC Mid USA & New Mexico State Championships. Heath is weighing 265 pounds in the below pictures, courtesy of photographer Frank Buono.